To get that feeling of owning a brand new vehicle again, come to M Thomas Caravan Repairs. We offer a wide range of services covering timber rot repairs to new panel exteriors and everything in between, no job is too small! Get in contact today and phone us on 01745 583 076 or 07774 136 859. At M Thomas Caravan Repairs we provide the best safety checks, performed by our Gas Safe registered engineers. On top of this we can provide regular servicing and preventative maintenance on all models. For the experts you need give us a call on either 01745 583 076 or 07774 136 859. Should you need some repair work done to your caravan or motorhome you've come to the right place! We do a wide variety of repair work ranging from new timber and interior rot repairs to plumbing and gas work. Want that feeling of owning a new vehicle again? We carry out a wide range of interior repairs and renovations to do just that, from helping sort damp and smells that just wont go to replacing silicon sealants. Safety is important, and with our Gas Safe Registered engineers we ensure you'll receive the best and safest checks around whether you're suffering from a leaking pump or faulty regulator. Want that feeling of owning a new vehicle again? With M Thomas Caravan Repairs we can provide just that. With over 40 years of experience and a friendly, reliable service, M Thomas Caravan Repairs will repair and renovate anything in your caravans that you need. Whether you have started to notice any damp or that smell that just won’t go, get us called before it’s too late and we will be on hand to help find the source to repair the problem. 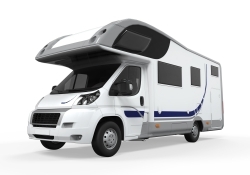 We carry out a wide range of repairs and measures to make sure your caravan/ motorhome is the safest it can be for you and your family. This includes replacing silicon sealant and making sure that everything is in good condition, such as your awning rails and seals. As a company we try to offer the best prices affordable and as a result we offer out free caravan and delivery service for you, with competitive prices on the repairs. So get calling today for more information on either 01745 583 076 or 07774 136 859.